The period of the first World War provides a good deal of material for the student of wreck covers, in fact too much, because so little of it can be linked up with known casualties. 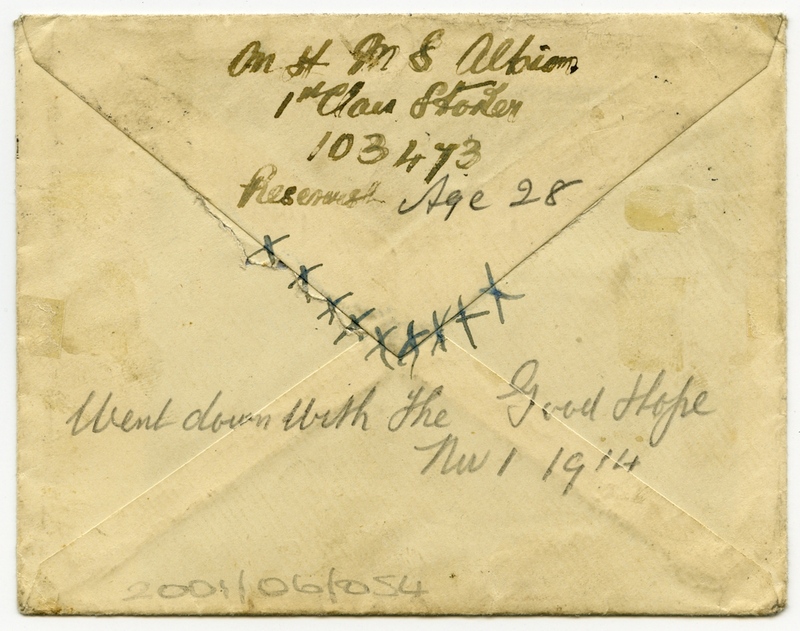 It also introduced a new class of cachet applied to mail intended for ships lost in action subsequent to the date of posting. 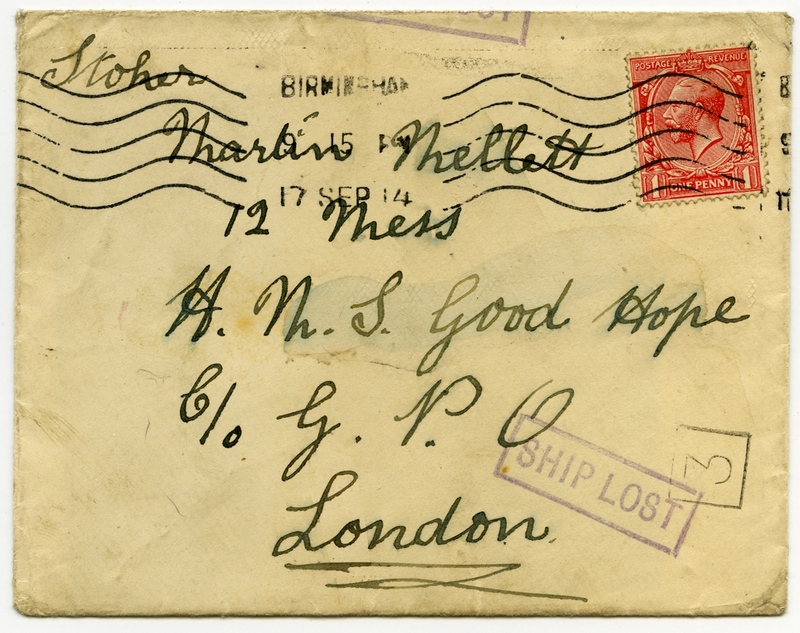 Adrian Hopkins had an envelope addressed to one of the crew of the British cruiser Good Hope which was lost on 1st November, 1914 at Coronel. This bears the laconic information in a rectangular box in violet from a rubber hand stamp which reads. During the Battle of Coronel, another cruiser, H.M.S. Monmouth was also lost. See 'H.M.S. Monmouth' for more details.